Hawaiian-born singer and musician Larry Ramos, who spent most of his life in show business and reached international fame as a member of The Association, died in Clarkston, Wash., on April 30, after suffering poor health following a 2011 heart ailment. He was 72. “We are devastated beyond words at our loss and will miss him tremendously,” his daughter, Tracy, said in a Facebook post. “I personally will miss his endearing salutations but find comfort in a conversation I had with him upon learning his condition was terminal. Larry Ramos, center, with The Association in the 1960s. When he was 10 or 11 in the early ’50s, Ramos moved to the Bell area in Southern California, attended Bell High School, and majored in political science at East L.A. College and Cerritos College. At 19, he joined The New Christy Minstrels, which later spun off artists like Barry “Eve of Destruction” McGuire, Gene Clark of The Byrds, and after Larry left in 1966, Kenny Rogers and Kim Carnes (after auditioning for the NCM, weeks went by before they gave him the OK. Turns out they had to clear his ethnicity with the producers of the show). Ramos shared in their Grammy Award for singing on their first album, which won “Best Performance by a chorus.” After he joined The Association in 1967, the group featured his co-lead vocals on “Windy” (four weeks at No. 1) and “Never My Love” (two weeks at No. 2 and according to BMI in 1999, the second-most played and performed song on TV and radio in its history — at that point over 7 million plays – ahead of The Beatles’ “Yesterday” and behind the Righteous Brothers’ “You’ve Lost That Lovin’ Feeling”). Both went gold and Ramos collected 12 gold records in all. 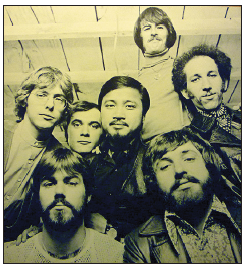 Ramos was forced out of the band in 1976 due to musical disagreements, but he reunited with the surviving line-up in 1979. The group has continued to perform, including a recent show at the Aratani Theatre in Little Tokyo. 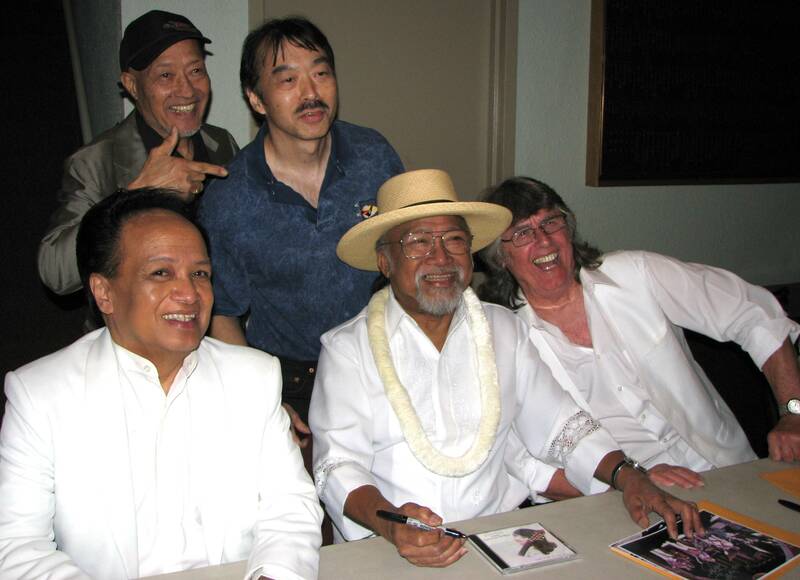 “For his birthday, he told me he wanted to go back to Hawaii as his ‘farewell to the islands,’” said Rafu columnist Guy Aoki, who is Ramos’ unofficial biographer after meetings and interviews over the past year.